Home International Apex Court India has concerned on Taj Mahal Changing Color. Apex Court India has concerned on Taj Mahal Changing Color. India’s iconic Taj Mahal has turned a sickly color. Its regal white walls have been stained brown and green by insects and pollution, and the country’s Supreme Court is urging the government to do more to protect one of the world’s most famous buildings. Located in Agra in the northern state of Uttar Pradesh, the 17th Century mausoleum, famed across the globe for its white marble facade, has turned shades of yellow, brown, and green, India’s Supreme Court said, according to the Hindustan Times. Construction, increasing pollution, and excrement from insects drawn to the nearby Yamuna River are thought to be among the culprits. “Even if you have the expertise, you are not utilizing it. Or perhaps you don’t care,” the court’s justices said, ordering the government to consult experts in India and abroad to address the issue. The problem is not a new one. The government previously closed thousands of nearby factories in an effort to preserve the monument’s shining facade, the BBC reports. And the Taj Mahal undergoes periodic mud washes to absorb dirt and other contaminants. 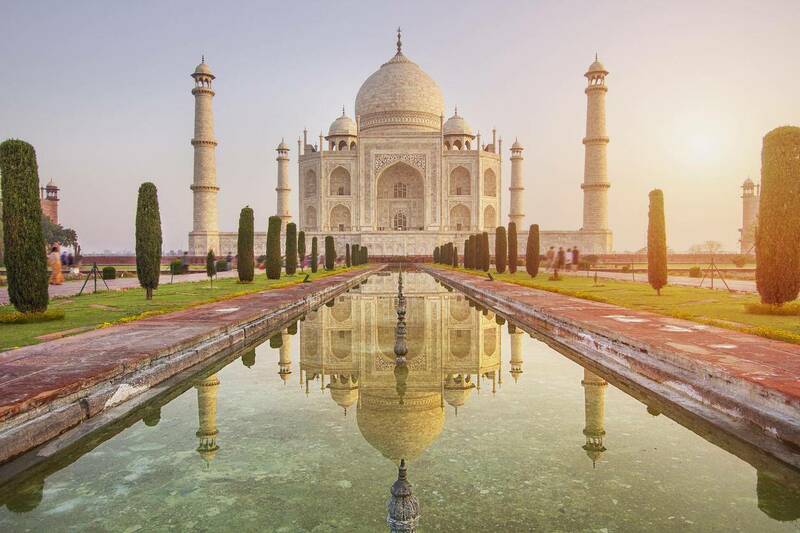 The Taj Mahal receives 7 to 8 million visitors annually, according to the Indian government, and is considering limiting domestic tourists to 40,000 per day in an effort to protect the nearly 400-year-old palace, The Guardian reported in January. But those efforts seem to have done little to stop the discoloration, and the Supreme Court justices are giving Indian authorities a week to respond. “We need to save it,” they said. The Taj Mahal was built by the Mughal Emperor Shah Jahan as a funeral memorial to his wife, Mumtaz Mahal. - resource credit.